Let the carnage commence! This 9-inch tall statue marks the arrival of psychopath Cletus Kasady into the Marvel Gallery line, as he swings an axe-shaped hand atop a rocky outcropping. Designed by Caesar and sculpted by Alterton, this statue is made of high-grade plastic, features detailed paint applications, and comes packaged in a full-color window box. 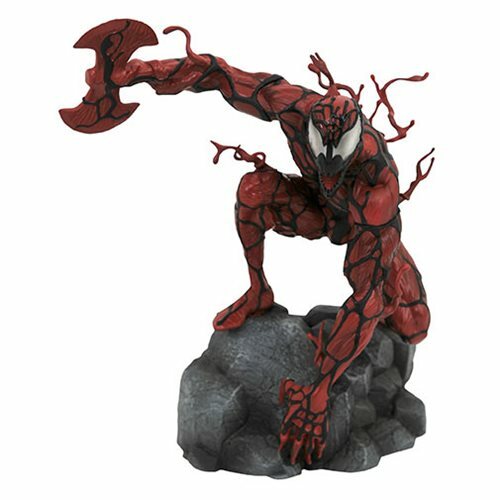 Bring Home Some Carnage – Awesome Marvel Statue!